Kozhikodan Biriyani – The lip smacking dish in Malabar style. No celebration is complete without good food. The cuisine of Kerala a state in the south west of India is linked to its history, demography and culture. Kerala is known as the “Land of Spices” because it traded spices with Europe as well as with many ancient civilizations. Kerala cuisine offers a multitude of both vegetarian and non-vegetarian dishes prepared using fish, poultry and red meat with rice a typical accompaniment. 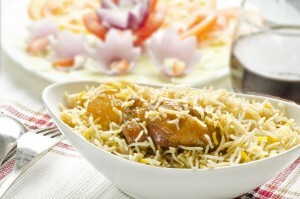 Biriyani is basically a rice based dish, rice blended with meat or poultry. There are mainly two types of famous biriyani’s in Malabar, one being the Kozhikodan (Calicut) biriyani and the other, Thalassery biriyani. 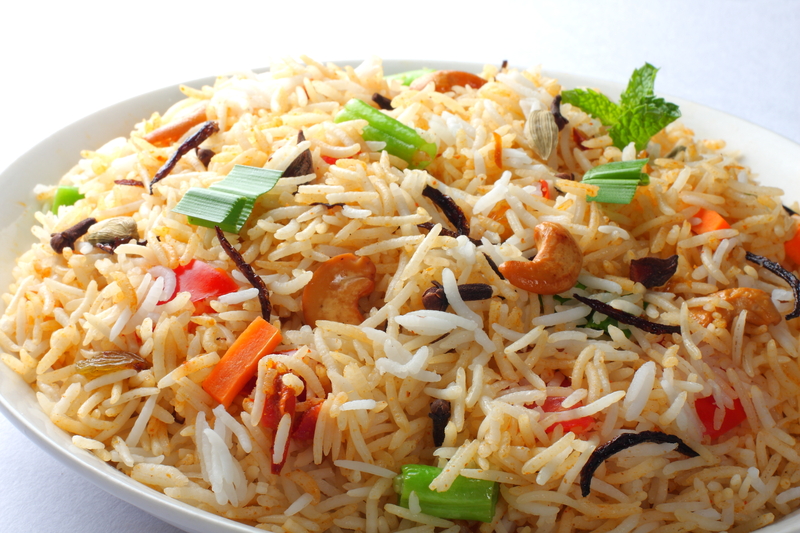 The Kozhikodan biriyani is famous for its special taste and aroma. In India, Spices are known as one of the most significant ingredients of the Indian cuisine, hence without the spices, the exotic savor of the Kozhikodan biriyani doesn’t come out. The spices are one of the prominent reasons why the Malabar dishes have become so favourite among the people across the state and country as well. The Kozhikodan biriyani needs variety of spices like nutmeg, cardamom, cloves, cinnamon, fennel etc. for the perfection of the dish. 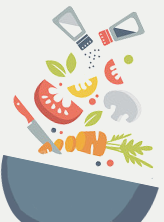 Kitchen Treasures caters to all your culinary needs, with their flavorful spices, traditional masalas, ready to cook biriyani packets and all that would help you prepare an enticing Kozhikodan Biriyani. Kitchen Treasures also provides whole spices such as fennel, cumin, whole chilly which is an essential element for the scrumptious biriyani. 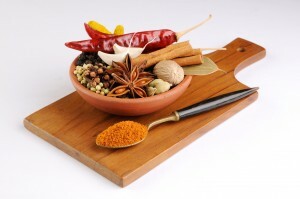 In Spices we also have a vast diversity of curry powders that will transform your recipe to an appetizing one. The products are sealed in compact and sterile packages that safeguard their freshness and home-made flavors. Kitchen Treasures offers a range of 100% natural spices and spice blends which would perfectly complement in the making of biriyani’s and other spicy dishes of the Malabar region.